Is “Hangry” In The Dictionary? 21 Oct Is “Hangry” In The Dictionary? 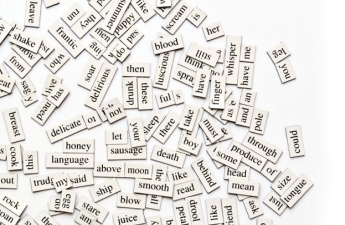 Have you ever wondered how certain words end up in the dictionary? Me neither – but it is actually quite interesting. This past August, the Economist gave us some insight into how this process works. Like most other fields, the advances of the Internet have changed the game for lexicography. As social media has become the predominant medium for communication, the use of slang words has skyrocketed. In the past, dictionaries filtered out words that were generally frowned upon by the general public – which kept slang and neologisms out of the picture all together. However, more recently, dictionary-makers act more like a fisherman, gathering words with a wide net, than a policeman, keeping out “bad words”, as Erin McKean, a lexicographer, formerly of Oxford and now of Wordnik, an online dictionary, put it. Modern dictionaries seek to find words that are commonly used every day, and for a long period of time. To try and include all of the slang words used in today’s day and age would be ludicrous. A crucial part of the process is making absolutely certain that the word is here to stay, and not going out of fashion before the ink hits the paper. So many dictionaries today are offered free online, making the business rather competitive. Lexicographers compete to offer features such as audio pronunciations, access to their database of historical citations and so on. Perhaps inevitably, online lexicographers include new words more quickly than their print counterparts do – making the addition of words such as “neard” “ratchet” and “hangry” all the more important.